Benchmark Senior Living, a leading provider of senior living services in the Northeast headquartered in Waltham, Massachusetts, proudly offers the highest quality of service and care with the warmth and hospitality of home. We are a leader in independent living, assisted living, memory care, skilled nursing and short stay programs. With a choice of lifestyles and differing levels of care, you will find a community that is specially tailored to you. 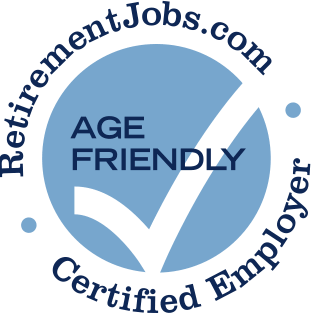 Benchmark Senior Living has posted job openings with RetirementJobs.com in the past, which means it has actively sought to hire and retain age 50+ workers. Please click the 'View Job Listings' link above to view active jobs, if any, posted on our site. The benefits offered are one of the top packages I've experienced. The People who work there and the residents who brighten your day. Working with the residents and families is amazing. They have lots of structure and processes in places. Amazing training program. The people you are helping are the best part. They just make you smile and you build relationships with them. Massachusetts associates have voted Benchmark as a Top Employer for ten years in a row. We just had the privilege of accepting the Boston Globe's Top Place to work award last week in Boston. So proud to work here.